Lauren was dirty, severely underweight and riddled with “thousands” of head lice at the time. Two older children who lived in the flat also suffered but survived. Wade and Sweeney were charged by police after Wade said she had “no guilt” over the death. A large number of professionals had been in contact with the family but they had not pushed hard enough to see real evidence of improvement. The judge added: “They were entitled to a better home-life than they had. When your youngest daughter died, your house was a in a shocking state. The court heard the pair had been a couple for more than 15 years and both regarded themselves as Lauren’s “parents”, although Wade was described as “the mother”. Lauren was “plainly unwell” and “emaciated” for days before she died. On March 20, 2015, a 999 call was made after Lauren was found to be “unresponsive”. The child was rushed to hospital but soon pronounced dead. One detective who later viewed the Foutainwell Drive flat branded it “one of the most disgusting houses” he had visited in his police career. The court heard it was littered with rubbish, leftover food, dirty plates and clothes. There were also “hundreds” of insects and flies. Lauren Wade was just two years and five months old when she was found emaciated, malnourished and unresponsive on the couch of her home in a north Glasgow flat. The toddler showed no obvious signs of injury or natural disease but she was filthy, with a severe head lice infestation that had spread to her face and chest. She was extremely thin, with her shoulders, ribs and backbone being “very visible” through her skin. The palms of her hands showed black dirt in the creases and the soles of her feet were also blackened. A toxicology report after her death in March 2015 showed the presence of alcohol and diazepam in her body. Lauren’s baby teeth were already showing signs of decay and there was evidence of severe nutritional deficiencies. There was rubbish strewn all over the flat and it was impossible to gain entry to the kitchen because the bin bags were piled up to waist height. The bags contained food and rubbish dating back two years. The couch where Lauren slept was so badly infested with head lice it had a large hole in it and had partially disintegrated. Two other children in the house were also infested with head lice, were filthy and had strong body odour. 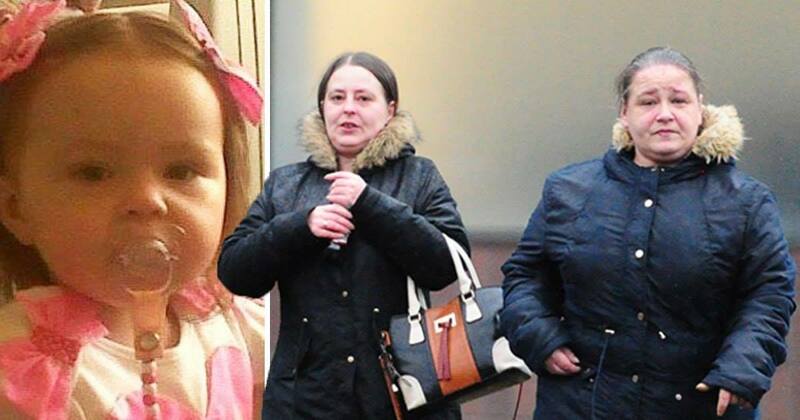 AN evil mum and her partner who starved a tragic toddler to death at a filthy Glasgow flat are facing jail after being convicted of neglect. 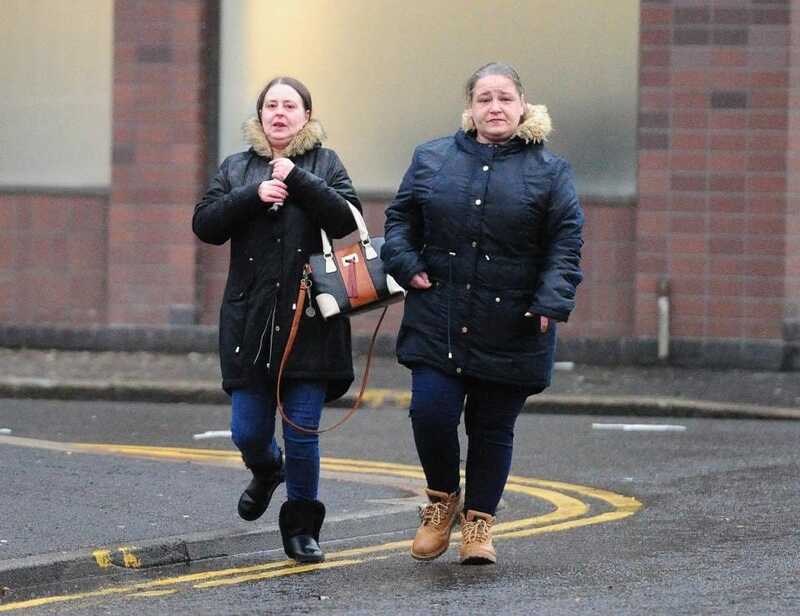 Vile Margaret Wade, 36, and partner Marie Sweeney, 37, let two-year-old Lauren Wade go without proper food or water for eight months, in a filthy flat described by one detective as the worst he had seen. A judge heard how Lauren was dirty, severely underweight and riddled with “thousands” of head lice at the time. Two older children who lived with the pair also suffered, but fortunately survived. 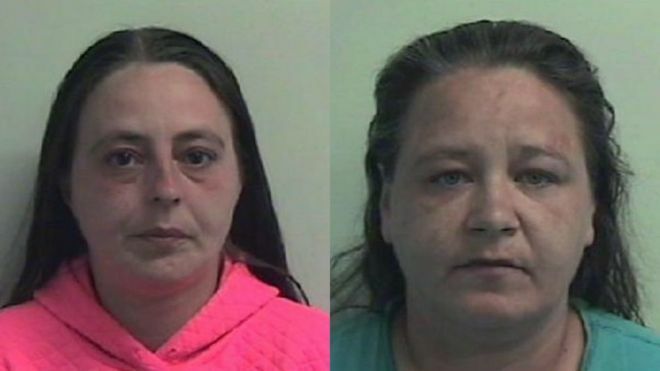 The jobless duo were later charged by police – after Wade said she had “no guilt” over the death. The pair were today convicted of wilful ill-treatment and neglect of Lauren. This included not keeping the youngsters clean as well as not providing proper food, clothes and medical care. The court heard Lauren was “plainly unwell” and “emaciated” for days before she died. A week before the death, Wade claimed to a neighbour Lauren had been “screaming all night” due to “teething”. Paramedics later noticed that the cover she had been lying on was covered in lice and fleas. Days later, Wade then insisted a “pale and tired” Lauren had a cold. On March 20 2015, a 999 call was made after Lauren was found to be “unresponsive”. The child was rushed to hospital – but around 30 minutes later she was pronounced dead. Tiny Lauren was described as “skinny, dirty and unkempt” at the time. She also had a sodden nappy, bald patches and “thousands” of head lice. Mr McVicar: “She kept her hood up to disguise her own infestation of head lice. A post mortem revealed Lauren had been the victim of “severe neglect”. There was also evidence that lice had been there for “over 17 months”. There were also “hundreds” of insects and flies due to the stinking mess. Some of the rubbish found in 2015 dated back to two years earlier. In one bedroom, the clutter was so bad that the carpet was “almost invisible”. Information was then passed onto social workers. A health visitor went on to discover the flat “messy” including cigarette butts on the floor. A further visit was then planned – it was during this that the home was found to be clean and “unrecognisable”. But, Lady Stacey locked them up as sentencing was deferred for reports.